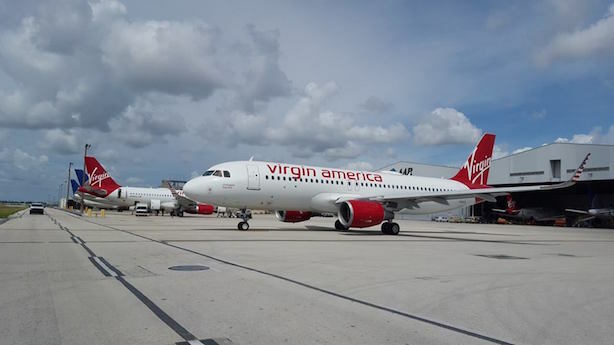 Alaska Air Group to buy Virgin America; Amtrak gets back to full schedule after deadly Sunday morning accident; Governments respond to Panama Papers; Wisconsin primary races heat up; Time Inc. could team up with private equity fund to buy Yahoo. The parent company of Alaska Airlines reached an agreement to buy Virgin America on Monday morning in a deal believed to be worth $4 billion. The acquisition will result in the fifth-largest carrier in the U.S. and will help Alaska Airlines expand its services on the West Coast. The rail line is experiencing some delays as it gets back to a full schedule on Monday on the Northeast Corridor between Washington, D.C., and Boston after a deadly accident outside Philadelphia killed two on Sunday morning. Investigators are looking into why a passenger train hit a backhoe, killing two Amtrak employees. A coalition of news organizations published the leak of 11 million documents over the weekend describing how government leaders and international businesspeople hide their money in offshore shell companies to avoid paying taxes. Authorities in Europe and Australia are examining the dealings of local clients of Panamanian law firm Mossack Fonseca, which is accused of helping companies and individuals take advantage of the country’s lax tax laws. Experts told CNBC they expect more leaks. Ted Cruz is holding a significant lead over Donald Trump heading into Tuesday’s GOP primary in Wisconsin. Establishment Republicans, who are mostly rallying behind Ted Cruz, are hoping a Trump defeat could reset the race, making a contested convention more likely. They’re also working to get Ohio Governor John Kasich to throw his support behind Cruz. Time Inc. could team up with a private equity firm to acquire Yahoo, Reuters reported over the weekend. Such a deal would allow Time Inc. to bolster its digital operations. The parent company of People and Sports Illustrated bought the owner of Myspace in February and HelloGiggles and xoJane last year.